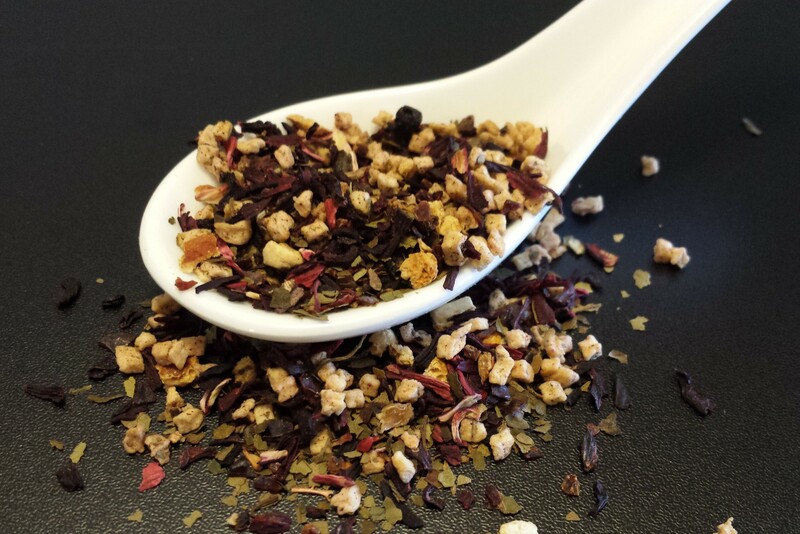 A blend of blueberries, hibiscus, rose hips, apple, blackberry leaves, orange peel, and natural blueberry flavor. Intensely fruity and slightly tart, this is a customer favorite both hot and iced. Caffeine free.